I had a short (500 words?) 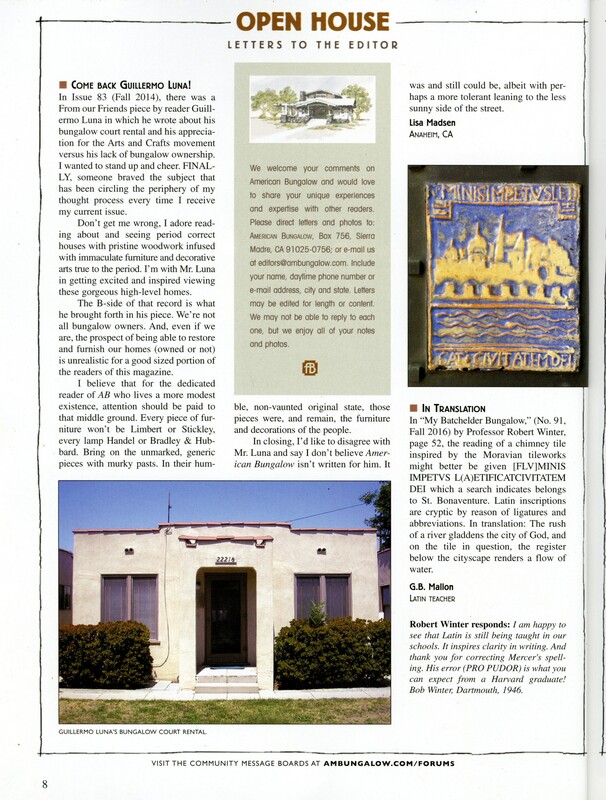 essay published in American Bungalow magazine recently. It’s titled, “Just because you ignore me doesn’t mean I hate you.” It’s in the back of the magazine in a recurring column called From Our Friends. My short essay appears in this issue. 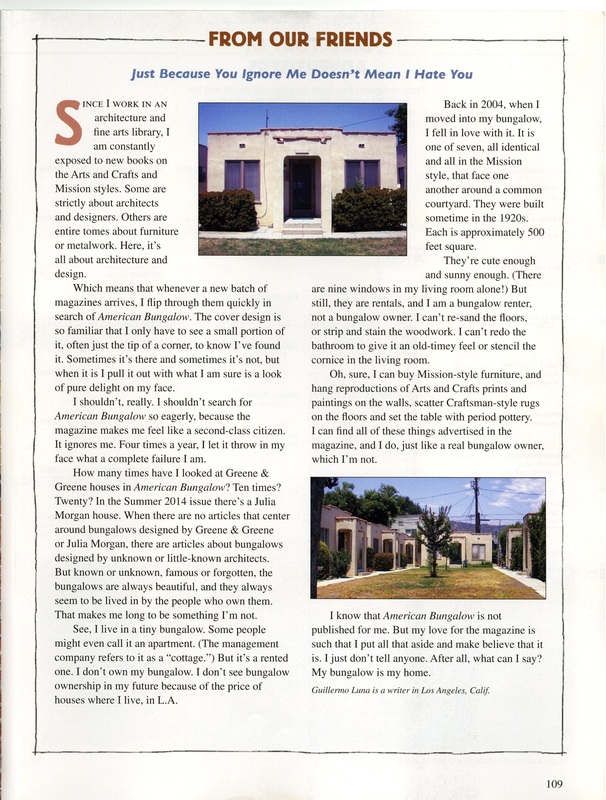 American Bungalow isn’t like most magazines where the inside content is available FREE on-line. No, instead you actually have to buy a copy of the magazine or subscribe to the online version. I like the magazine mainly because of the photographs of bungalow interiors and I look forward to receiving the magazine knowing as soon as I open the cover I’ll ignore everything around me for, at least, an hour. I scanned it and uploaded it. If you click on it you can read it. After re-reading my story I’m not sure if I’ll ever get used to seeing my words in print but I am happy American Bungalow published it. 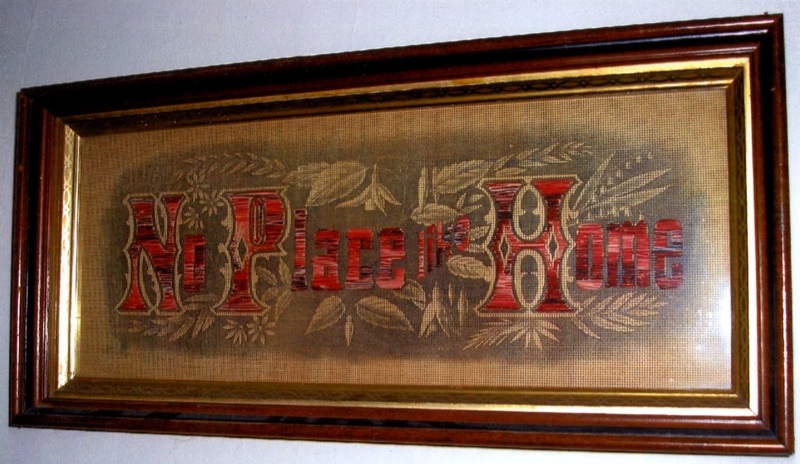 This hangs in my bedroom. 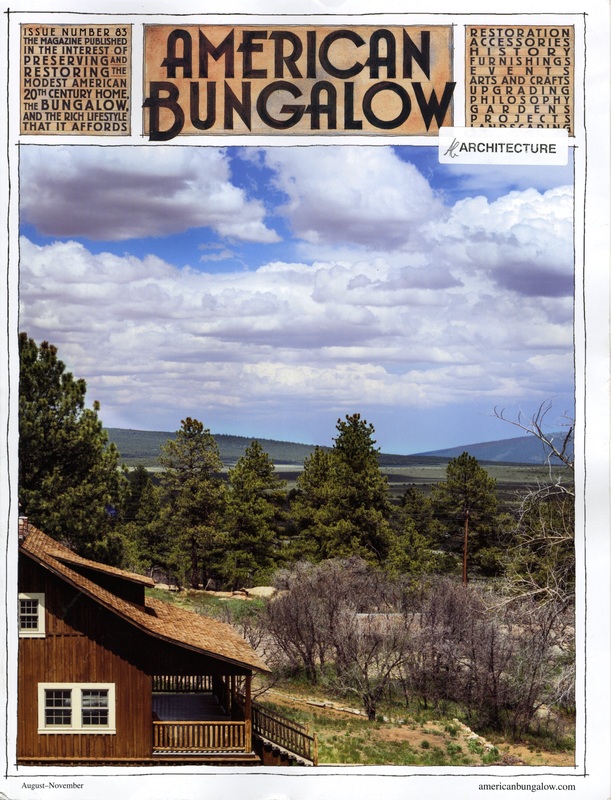 A letter to the editor was sent to American Bungalow. I’ve attached it below.